The number of reasons why many property owners change their consumer unit is high. It could be due to a blown MCB with no available replacements. Perhaps they have a new property and the consumer unit is not compliant with the latest regulations. It could even be the fact that they are undertaking a rewire, refurbishment or a large renovation project. Either way, replacing a consumer unit comes with considerations. The single most important thing to remember is that it experience only matters so much. If you are not up to date with the latest regulations, i.e. the 18th Edition, then you are not in the best position to be replacing a consumer unit. You should also remember that the customer must always have an Electrical Installation Condition Report (EICR). This should be carried out before you begin the process of replacing the consumer unit. This is to establish that the latest regulations are met. It will also make sure that you are not to be left with any faults that were not included in the original contract. In general, the UK Wiring Regulations require that all circuits are protected against both overload and Residual Current (or Earth Leakage). The Circuit Protection Devices: Residual Current Device (RCD), which protects a bank of circuits from residual current or earth leakage; Mini Circuit Breaker (MCB), which protects an individual circuit against overload and fault current; Residual Circuit Breaker with Overload (RCBO), which protects an individual circuit from both residual current and overload. It combines the aspects of the two above. This makes it more expensive than an MCB. There is not a single building project in history where the client has not, at any point, had a change of heart regarding the specifications. As a project develops, they may prefer a gas hob or electric. They may also decide that they want an electric shower in the guest room or would like a security system installed. As an electrical contractor, you must remember this is entirely reasonable and prepare for this as opposed to reacting to it. Allow yourself plenty of room for change at the outset. This will prevent hassle and wasted effort later in the project when the inevitable occurs. 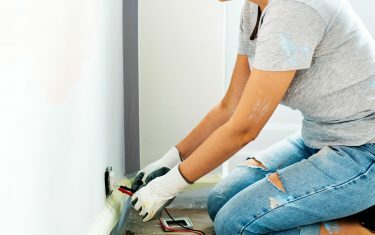 Make it clear at the start of the project that the consumer unit will serve the property for a considerable amount of time. It should be able to comfortably handle any developments in the future. 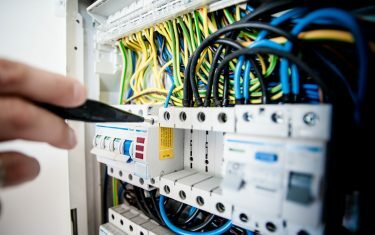 To accurately specify a circuit protection solution, it is important to determine which circuits need special consideration in respect of RCD’s. This is because it removes any chance of that circuit being knocked out by an earth leakage fault on any other. This occurs in a standard RCD/MCB configuration when the RCD cuts the power to all protected MCBs upon detection of a residual current fault in one. Of course, this problem is exacerbated when a greater number of circuits fall under the protection of one RCD. Common high priority circuits include smoke alarms and security systems. However, each client has a different opinion on what makes something “high priority”. For example, some people may only use their freezer to store a few ready meals. For others, however, its purpose is for storing expensive cuts of meat. What kind of Consumer Unit? There are many factors to determine the consumer unit you will fit. This includes the types of circuit, the number of circuits and your client’s budget. Here are the three main models. A popular solution due to its low cost, it comprises a dual RCD board supplies complete with MCBs. They are suitable for smaller properties with less complicated circuits. They are available in many variations, depending on the manufacturer. Some consider this to be the best circuit protection solution available. This is because it offers total circuit separation, but it comes with a cost implication. It is supplied with only the main switch and allows for every circuit to be RCBO protected. Though the consumer unit itself is not expensive, the installation of RCBOs makes this a premium solution. These units come in all sizes, from 5 way up to 40 way. This solution is gaining popularity as it blends the best of a dual RCD unit and a main switch consumer unit. With 3 neutral bars built in and supplied with 2 RCDs, the HI consumer unit allows for both 2 banks of MCBs. It can also have an additional bank of RCBOs for high-priority circuits. This gives standard circuits commensurate residual current protection, while high priority circuits receive complete circuit protection. As mentioned, the first thing to consider is that your qualifications are up to date. With the 18th Edition underway, it’s important to ensure you have taken the course before it is too late. Talk to ECTA today to learn more.